Finish my Linkys I Love page… It’s been a work in progress for a while, but mostly because I add a link once a month and then don’t get time again! Actually if I just sat with my laptop it’d take 10 minutes to finish, it’s so much more cumbersome on an iPad! Continue growing Twitter (I’ve been astounded at how quickly my following has grown, I reached 2,400 followers just before New Year), and use Instagram a bit more. I have also been expanding Pinterest following and also need to work to add all my previous posts to Pinterest. Join StumbleUpon…. I’ve only just realised it could be a good option! During this time I also fell behind on replying to comments on my own blog, something I feel terrible about. I really appreciate every comment, and every single reader, and feel I should thank every single person. I’m sorry I haven’t been doing that lately. So, my plan is to join certain Linkys every week, and others more sporadically. I think I need to stick to where I’ve really been part of the community and hopefully that will allow me to comment as I’d like to on those Linkys (commenting on more than the rules specify) and be really be happy with the balance. This should also allow me to comment on my own blog and if that starts to wane again, I will make more adjustments so that I can always thank my readers and commenters. I love the fun Linkys ?like #wickedwednesdays by Brummy Mummy of Two,?and hope I can get back into that as H is older, she’s getting into more and more predicaments! I also enjoy #throwbackthursdays by Run Jump Scrap and All The Beautiful Things which was another linky I lapsed on recently in an attempt to stop being stressed! but as it’s now monthly, I really will keep up with it…. Here’s to more fab throwbacks! Reviews – I’ll keep reviewing what I love, and don’t…. And will accept ?sponsored reviews and products to review if they fit my blog. The lovely RainBeauBelle had a fabulous linky in December called ?’5 Things for ?5′ which I thought was a brilliant idea and took part in (here), I hope this continues each month in 2016 as I really enjoyed it. I’m a sucker for these, any competition or exam, I always want to get an A or reach the top. Well, blogging is no different. My blog stats – I’d like to improve these, though having checked google analytics tonight I now see my visitors and views are both much higher than WordPress had me believe, so I had a very nice surprise. I’m just sorry I didn’t add GA straight away … Sorry I’m not giving numbers! Facebook – I currently have 25 followers, I’d definitely like more than 100 by the end of 2016, preferably a lot more than that, but it’s so difficult to grow so I’ll play it safer! Instagram & Pinterest I have 248 and 42 respectively and would just like to keep them growing, perhaps reach 500?followers? Parent Leaderboard – my last ranking of 2015 was 264, and highest ever was 261 r. So I’d like to break into the top 200. I did have a post chosen as a Tots100 Good Reads in December, so I’d love to make the list again and perhaps love to be featured on Mumsnet or Netmums, and well The Huff Post would be just AMAZING…. here’s hoping! Check out my ‘2015 Review / 6 Months of Blogging‘ and my personal resolutions too! Well done – you’ve achieved a lot already. Generally, I think it pays to be really clear about what your priorities are. If, like so many of us, you’re restricted for time, I think you’re better off doing a few things well (and then moving on to the next thing) than a lot of things so-so. My personal experience is that I realised quite quickly that (a) I don’t have time to maintain a strong, consistent presence on every social media channel and (b) I don’t really care what my Tots100 ranking is (other than it being a nice ego boost), so I just write what I want and I focus on Twitter and Facebook (and to a lesser extent Instagram), which I enjoy the most, and not worry about Pinterest or other channels, which I’ve never been able to get to work for me. But equally Pinterest is a big driver for many other bloggers, so do what works best for you. Wow, you’ve achieved all that in 6 months, and with a new baby, kudos to you! 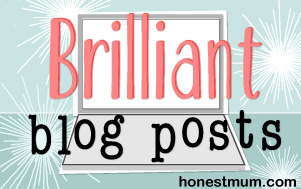 I started my blog about 5 years ago (and my eldest daughter will be 5 this month, notice a pattern here?! ), but it is only recently that I am discovering all of the fabulous parent bloggers here in the UK. I am moving my focus more from indie authors towards lifestyle interests, and will begin to reflect that in my blog in 2016 as well. See you on some of the linkys you mentioned… if the children allow me to! Catherine Green recently posted…Happy New Year! I think you have done fabulously so far – and over 2k followers on Twitter in less than a year. Wowzers! 🙂 I want to up my blogging this year too – the only trouble is finding the time to do it ha ha, always something more that I could do and improve! Well, I’ve liked your page with mine on Facebook so that will help a teeny tiny bit! Haha. You’re doing amazingly well, though. You’ve also reminded me about StumbleUpon. I’d totally forgotten so thanks! My main goal is to go self hosted and then I might have a think about what I’m trying to achieve after that. Some fab goals here, I really need to set out some clear goals for myself. 2016 is my ‘year of the blog’, Oliver has started nursery today so it means I actually get time. I haven’t got any clear aims though, other than to make a bit of cash on the side and develop the wedding planning section of my blog. Lovely goals and all achievable. You are doing amazing considering you are only blogging for 6 months. 2400 followers is incredible. I am blogging nearly 2 years now and I am only at the 1k mark. You must have great content. You’ve got the right approach. You’ve set yourself goals, which gives you something to work towards. I know how you feel about Facebook as I too was hesitant to set up a Facebook page for my blog for a couple of reasons 1) I don’t really like it. 2) I didn’t want the people I know on Facebook to feel obliged to read it. I haven’t invited my friends to like my page, instead every now and again I share a post I have written that they can like if they want. I am still finding that balance with blog hops and commenting. Since starting to participate more in blog hops my views have gone up, but like you, I feel I am constantly trying to reply to comments on my blogs and where once upon a time I would visit each and every commenters blogs in return, I can’t always do that now, so it’s a tricky one. I wish you and your blog a good 2016 and reach for the moon, after all the worst that can happen is you land among the stars! Thank you! I’ve mostly been taking part in Linkys, other than take part in twitter conversations and really try to engage with other bloggers. My blog aims and personal goals for 2017 - New Mummy Blog on Toddler puzzles: Orchard Toys Once Upon A Time puzzle?